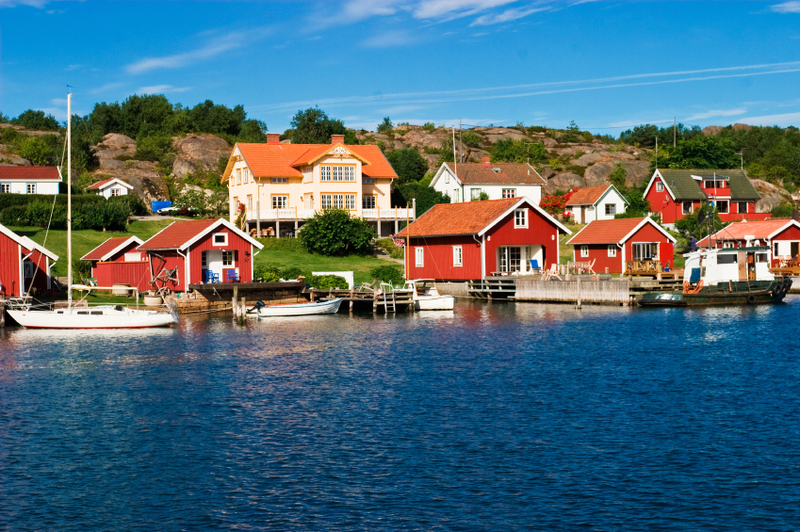 Sweden has a fairly good reputation around the world as a good place to live. However, this reputation comes from a previous era, and in a series of articles, I will point out how things have changed in recent years. Today: did you know that Sweden’s security authority FRA wiretaps all of Sweden’s population, all of the time? In 2008, there was a huge battle for civil liberties in Sweden that shook the administration to its core, but in the end, the administration won and the civil liberties activists – from all colors of the political spectrum – lost. The battle concerned the so-called “FRA law”, named from the security agency that it concerned, the Försvarets Radioanstalt (FRA). As a background, the FRA had used a loophole in the law since 1976 that allowed it (maybe) to wiretap all phonecalls that were routed over satellites, by erecting their own receiver dishes next to the telco ones. This allowed them to receive all the satellite signals, in identical copies to what the intended receiver dish did. The law they used to justify this behavior was one that said that privacy cannot be expected over radio waves, and that anybody may listen to anything sent over radio – which makes sense with shortwave-type radio amateur equipment, but not necessarily with satellite links: when you pick up the phone, you expect privacy, regardless of the technical route of the phonecall. Anyway. Fiber optics in the ground gradually replaced satellites as the preferred method of transmission, and the FRA complained to the administrative departments that it had lost its ability to wiretap, and wanted an amendment to the law that would – in their own words – just “compensate for technical developments”. What they asked for was a requirement for every owner of fiberoptics crossing the border to send a mandatory realtime traffic copy to the FRA. They demanded to wiretap everybody, all the time, if your phonecall or internet traffic happened to cross one of these checkpoints (which you can’t tell if it does or not). So the FRA went from “using a possible loophole in the law to eavesdrop on satellites” to “demanding exactly everything all the time”. This was a little bit more than just an update for technical progress; this was a huge difference in scale and a near-complete abolition of the right to privacy. There was one hell of a political fight, as the ruling coalition had a very narrow majority in the Swedish parliament. There were full-page ads in the largest newspapers asking for four heroes in parliament that would say no to the general wiretapping law, which would cause the law to fall. As we were out on the streets protesting this law, we would read aloud from the proposed text of the bill, and people would not believe us; they thought we were making it up and flat out denied that such a law could be passed in Sweden. That was one of the most frustrating times I’ve had in my time as an activist. We had to fight uphill for well over a year before media woke up to the fact that their right to protect their sources was about to be abolished at the stroke of a pen. On the day of the vote, June 18, 2008, the parliament building was positively surrounded by newly-minted activists – people from all corners of society. The police had formed human chains to make way for the MPs to enter the building. No protest like it had been seen in Sweden in modern times. But after a really depressing negotiation theater in parliament, which had obviously been rehearsed, the law passed in a vote on the floor. Only one person in the ruling coalition voted against it (and she, Camilla Lindberg, got thousands of bouquets of flowers the next day). But alas, the law passed, with some cosmetic changes that didn’t change the underlying fact: at any time, and for no other cause than it wanting to do so, the Swedish Government can and will wiretap all your communications. They do so in bulk, and are restricted – if that is the appropriate word – to wiretapping no more than about two million households at a time. There was of course no way of knowing whether you were being watched at any given moment. How often, or on what system, the Government plugged in on any individual wire was guesswork. It was even conceivable that they watched everybody all the time. But at any rate, they could plug in your wire whenever they wanted to. You had to live – did live, from habit that became instinct – in the assumption that every communication you made was overheard. This is also the legal definition. If you can’t tell hard criteria for whether or not you’re being wiretapped, you are indeed wiretapped all the time, from a legal standpoint. Next: Private industries with more far-reaching powers than the Police. In how many parts will this series be? Don’t know yet. At least two more (FRA, IPRED, PMU). Thanks for the article! If you get the opportunity youtube Glenn Greenwald’s lecture “Challenging the Surveillance State”. Keep up the good work! I always wondered where some of the old apardheid “die hards” went. and the others went to …….? PS “they” could be reading this now, serious! I remember how it was once said that Sweden met terror with more liberty. Was this just said to make the listeners happy? I believe you’re thinking of Norway, in the wake of the mass murders last year. yes everything is one hundred percent true, but it is much worse than that because this “government” is more like a dictatorship! If you accept the premise that every Westphalia ‘nation’ has the government it deserves, what does this say about the Swedes? The Era of the Warlords has torn humanity to shreds over the last 400 years and 99% of computer / smart phone users could not tell you how or why their systems boot up the way that they do. Press button, magical boring stuff happens, voila! Operating system. If you have no interest in operating your system, you’d be surprised at who will do that for you; leaving you none the wiser. I thought Swedes operated the systems in their brains, but I see they have the government who does their thinking for them. Some ‘states’ have religion doing their thinking for them. Most outsource to the media who thinks for them and then briefs them in the evening on what fears are especially relevant and frightening that day. But no, this is good. Now the FRA can provide the Cabinet with statistically accurate, instant feedback on which terrorist campaigns of fear are really working on the Swedish people, so they can maximise and optimise the terror. Watch out for those immigrants, and those Finns. The Danes are looking suspect of late, and your Swedish neighbours for that matter. Just stay indoors, and don’t even trust your own family. Just lie to them; white lies, for their benefit. Of course. Trust no one; trust only your ‘preferred’ news anchor, and be afraid. Be very afraid. Oh, and Vote 1 for Exploitation & Misery. It’s the only option on the ballot, so you might as well. It’s not all doom and gloom though, at least you’re not an immigrant stealing all the best menial labour jobs, leaving Swedish slaves unemployed. And if you are, at least you’re not Finn. So you got that, at least. True, but Swedish politicians and authorities are forced to work 100% transparent so that they can be scrutenized and not crucified by the media. To compare US or any other large country to Sweden is a ‘stawman argument’ due to its population of rougly nine million people and a surface area comparable to Spain! Sweden also has a single ID number and all your data is always available to the AUTHORIZED PEOPLE and not everyone with a few 100$ to spare for a corrupt official. Swedes also HAPILLY pay thier taxes and trust their authorities. Key word in this comment has been ‘Trust’ .. Do you trust your government enough to compare yourself to Sweden? Transparency in governance is mandatory to provide a layer of protection against exploitation, but the argument that your government is “good” and therefore needs to increase their control and power is impossibly flawed. Even if the concession could be made (which it cannot) that the Swedish government has the best interests of Swedes in mind, you would have to concede that they’re too incompetent to be in governance. Because are they going to be there forever? How do they know who will replace them? Good governance continually seeks to decrease its own power because power attracts the worst kinds of people; and good government knows that. If you have a government that is increasing its power, you automatically know you’re being insulted and lied to. And where you’re going wrong is thinking that Sweden is a sovereign nation-state. There is no such thing, it’s a pure illusion. Do you really believe that no entity on the planet can pressure the Swedish government into supplying them with the data they are surreptitiously compiling on Swedes? You are a very naive person. Never trust politicians. You are a very naiive person. Interesting article, but with nearly zero references. I’m not suggesting you try to become Wikipedia, but adding authoritative sources to the strongest/main claims (including pointing to specific pages/paragraphs and even sentences in the source) would add a lot to the material. Just Google it. There are tons and tons and tons of references to what I am writing, even at this very blog [in Swedish] as the debate went down in 2008. There’s even a Wikipedia article in English which says more or less the same things as this article, which was linked early on. [Edit:] I realize now you’re not asking for sources, but saying that the article would come across as stronger if there was a link here and there. Thank you for the feedback, I’ll keep it in mind. Very good. Thanks! The Data Retention Directive does however worry me a lot more than FRA. FRA will never have the ability to perform such and in-depth analysis of traffic as will the ISPs. However, the combination of FRA and DRD could be pretty devastating. FRA searching for interesting patterns on a global scale and once something interesting is found, the DRD is used to backtrack the whole history of the suspects. Scary! All of us must start to be more aware of what we put in public (deliberately or not) and what we want to keep personal. Empowerment of the people is needed. This is an constantly ongoing struggle between the rulers and people. For Internet, I feel that the healthy balance in power we need in a democray is now quickly shifted to give the rulers an upper hand. Here in Germany, CB radio enjoys the same protection as a phone call. This doesn’t mean that you have to turn your equipment off if you hear someone else talking; However, you are not allowed to delieberately listen to conversations that you aren’t supposed to listen to or to pass anything on that you weren’t supposed to hear in the first place. The same applies to post cards even though the constitution explicitly says “letters”.